The Amyloid Project stems from a collaboration between urbanSTEW and ASU Physics research professor, Dr. Sara Vaiana. Dr. Vaiana’s research focuses on a newly discovered class of proteins found in the human body, called Intrinsically Disordered Proteins (IDPs), and particularly on ones that are involved in amyloid diseases. These IDPs are important because of their potential to better understand diseases such as such as Alzheimer’s, Parkinson’s and diabetes. IDPs, unlike other proteins, do not fold into well-defined 3-dimensional structures. This plasticity makes them susceptible to aggregate forming highly structured amyloid fibers. This stops them from carrying out their essential biological functions, and can lead to diseases such as Alzheimer’s Parkinson’s and diabetes. Dr. Vaiana is studying the unique properties of IDPs. This research is extremely complex but holds great potential to impact a large portion of our community, including people who suffer or know someone who suffers from diseases caused by protein aggregation. See the first iteration of The Amyloid Project at the 2014 spark! Mesa’s Festival of Creativity. 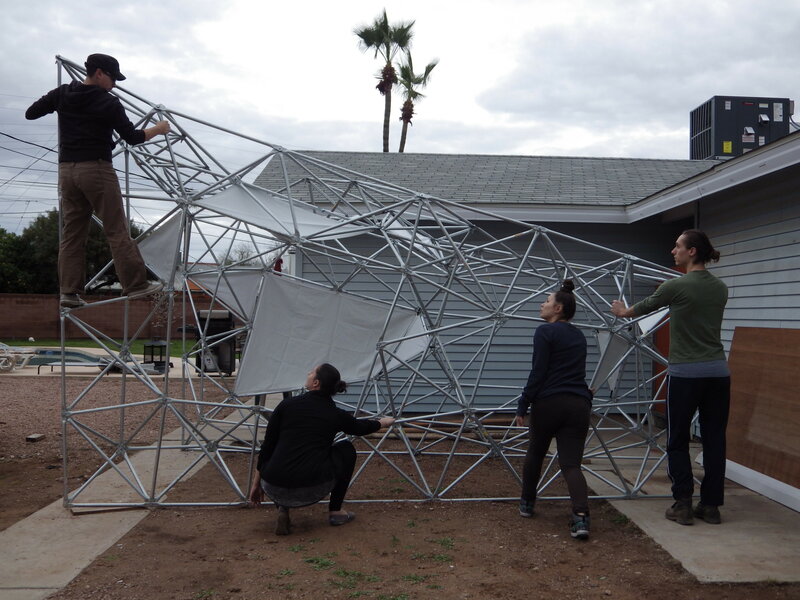 urbanSTEW will be presenting phase one of the work as part of this 5 day festival at Mesa Arts Center, March 19 – 23, 2014.